Pour yourself a cup of coffee; this could take a while. One of the biggest “Patch Tuesday” fixes is happening October 14, when vital updates will be available from three companies at the same time. 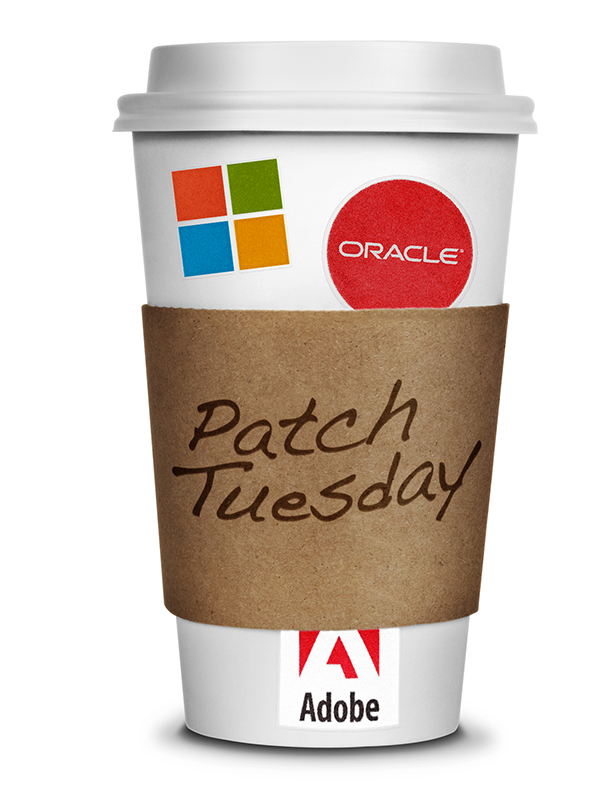 We are all used to the monthly Patch Tuesdays from Microsoft and Adobe, but this month the quarterly updates from Oracle, the parent of problem child Java SE, coincide, making it a pretty big day for securing your system. Avast experts agree that one of the most important steps you can take to securing your data and devices is to make sure that you keep your software up-to-date. Microsoft leads off the normal Patch Tuesday with the release of 9 security updates across products including a critical patch of Internet Explorer, all supported versions of Windows, and the .NET development framework. Oracle’s Critical Patch Update is a collection of patches for multiple security vulnerabilities. It contains 155 new security fixes across hundreds of Oracle products; 25 of them for Oracle Java SE. Oracle warns that “these vulnerabilities may be remotely exploitable without authentication, i.e., may be exploited over a network without the need for a username and password. “ That's not good, if you were wondering. "I would suggest removing Java if possible or at least turning it off in all your browsers," advises Jiri Sejtko, director of AVAST Virus Lab operations. Here are removal instructions for the most popular browsers: How do I disable Java in my browser? It is hoped that Adobe’s Tuesday update will include a plug for the big Digital Editions e-book and PDF reader hole, but more likely it will be next week. In a statement to the American Library Association, Adobe reports they “expect an update to be available no later than the week of October 20” in terms of transmission of reader data. Tuesday's patch will probably include a fix for bugs in Adobe Flash Player. avast! Software Updater shows you an overview of all your outdated software applications, so you can keep them up to date and eliminate any security vulnerabilities. All avast! security products inform you whenever any of your 3rd party applications are out-of-date and you can apply updates manually by clicking the 'Fix now' button next to each conflicting application. avast! Premier can be configured to perform these updates automatically.